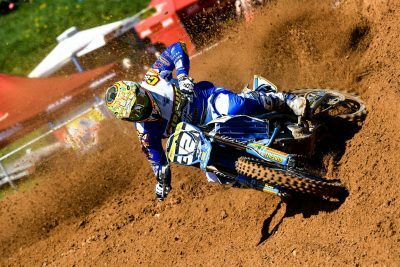 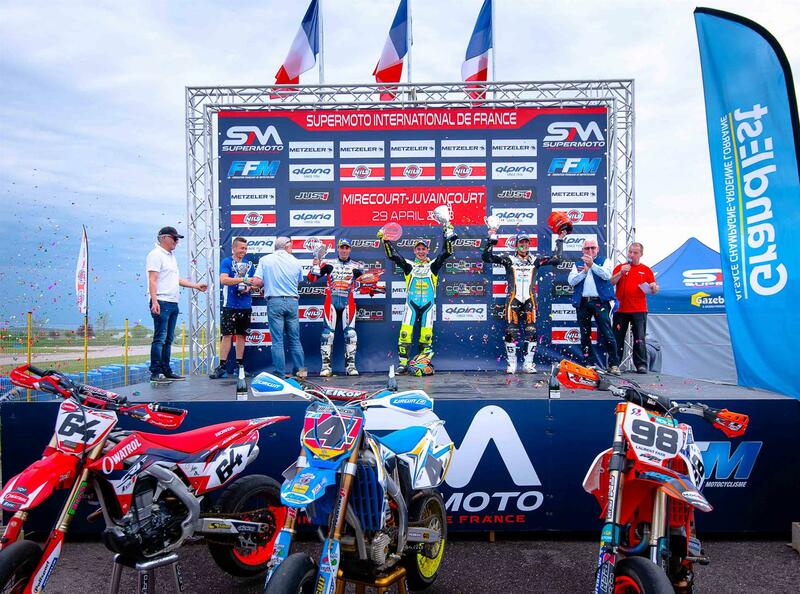 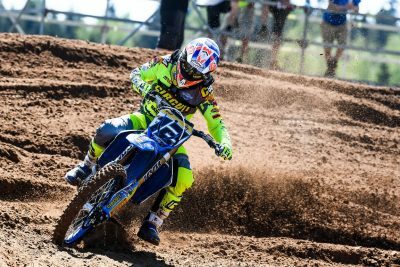 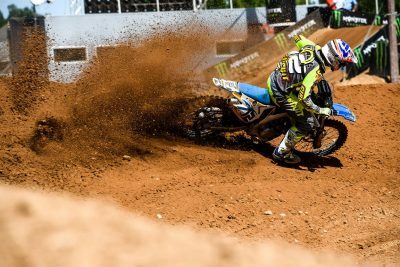 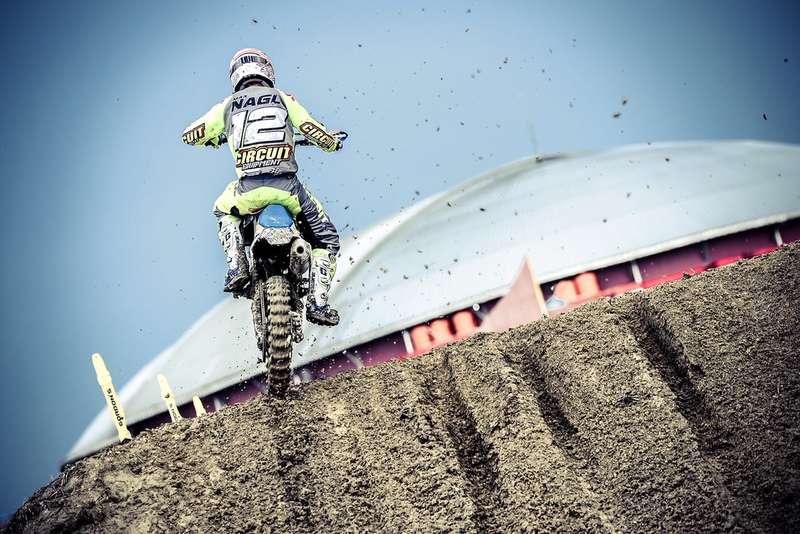 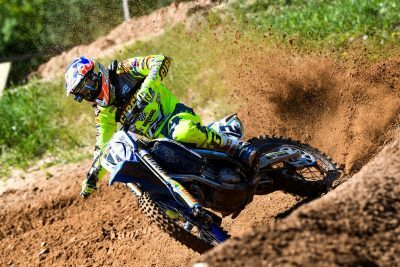 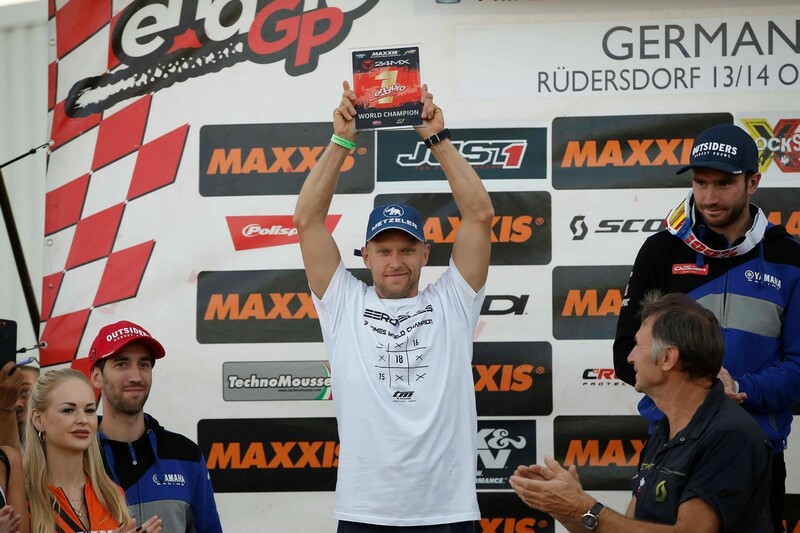 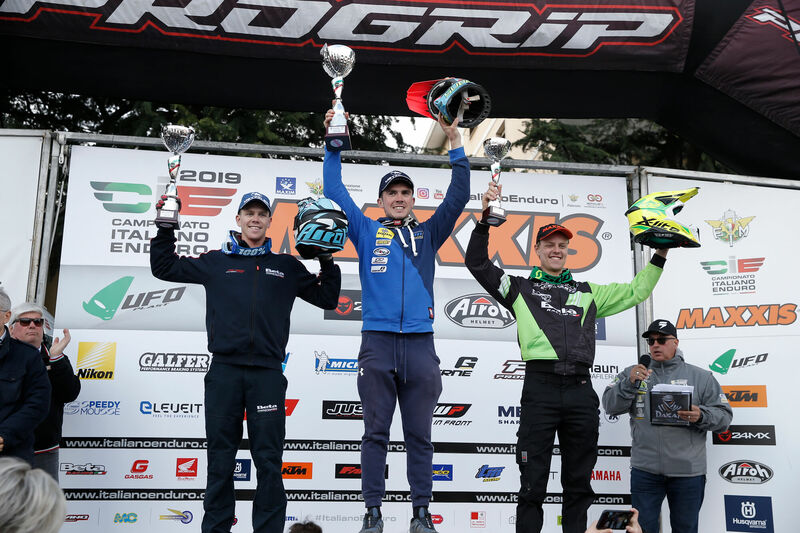 The seventh round of the Motocross World Championship took place in Latvia on the track of Kegums, a sandy track but with a hard bottom, for the 2018 edition it was decided to change the direction of travel by making the track even more technical and difficult. 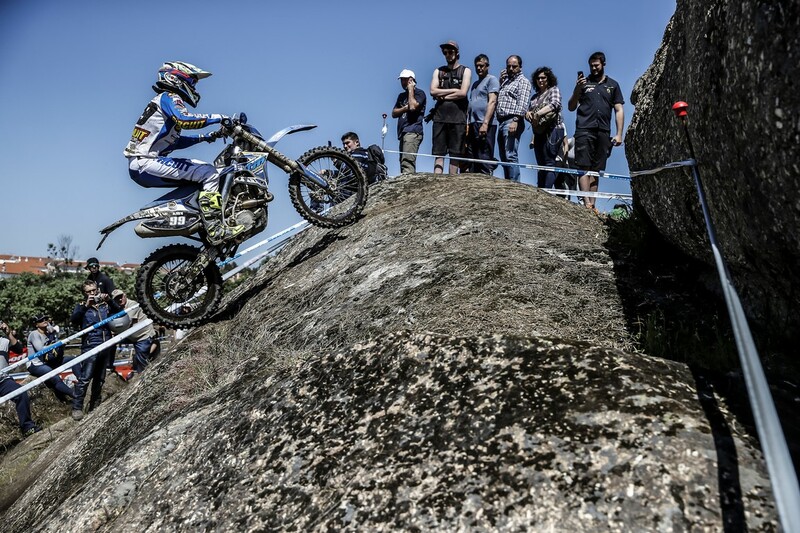 The hot weather was the background to this world event, creating different problems for the drivers. 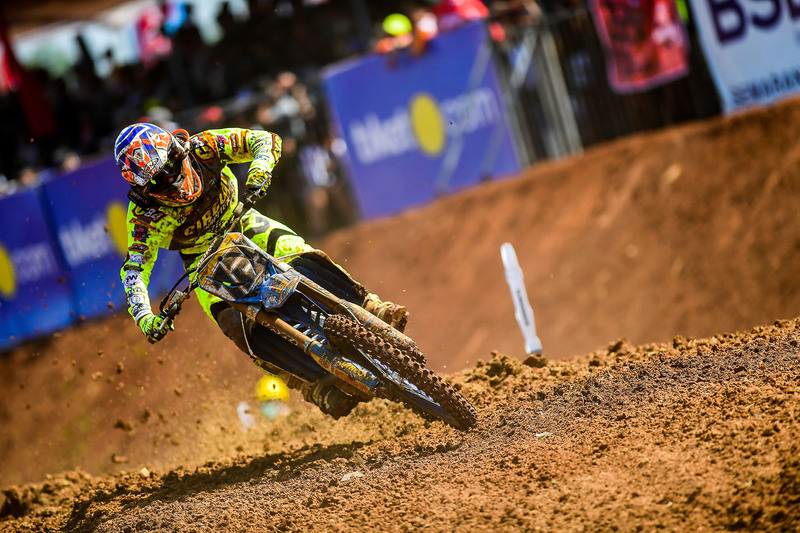 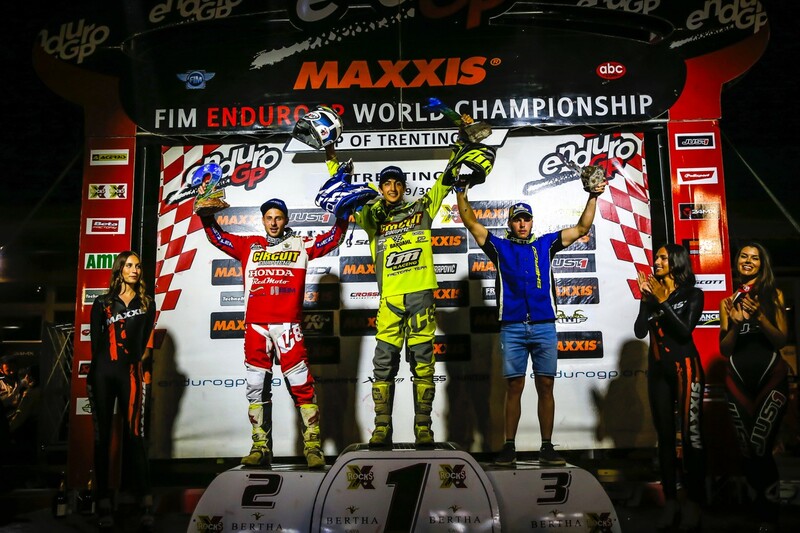 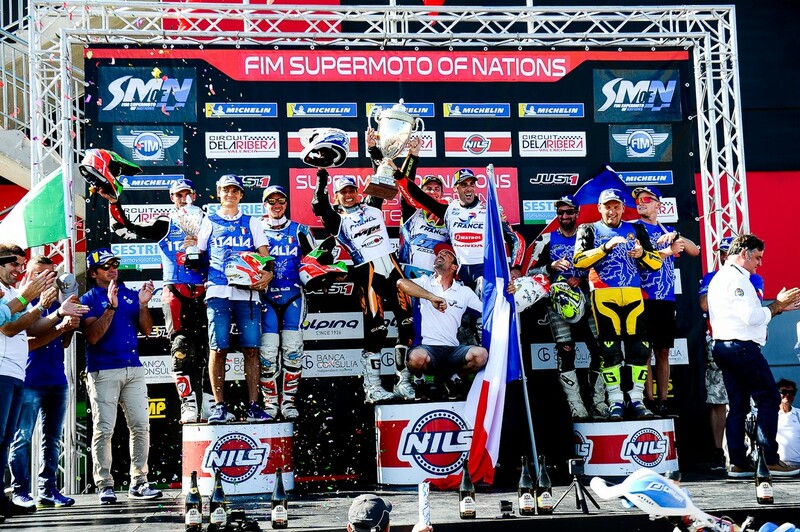 For the Team Tm Factory the weekend started immediately in the best of ways, Samuele Bernardini and Max Nagl immediately found themselves at ease and in qualifying they got the ninth time in MX2 and the seventh in MX1. 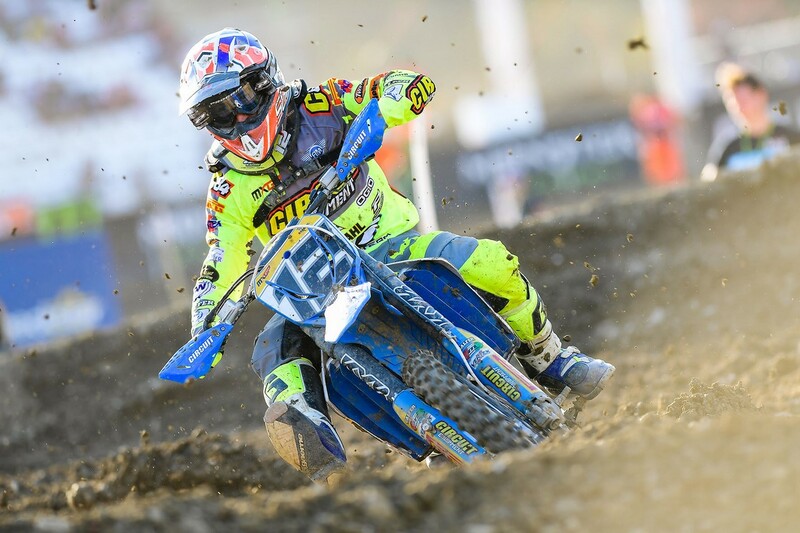 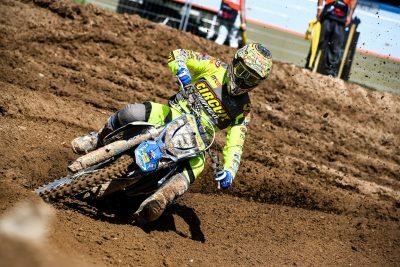 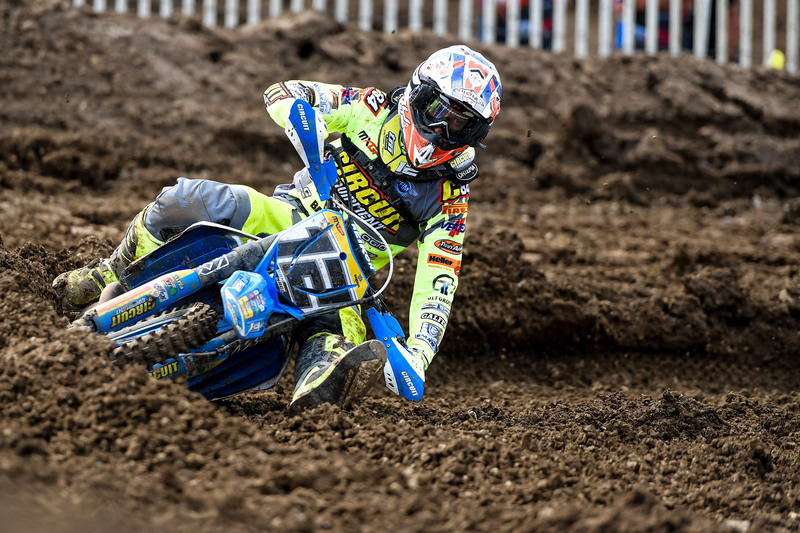 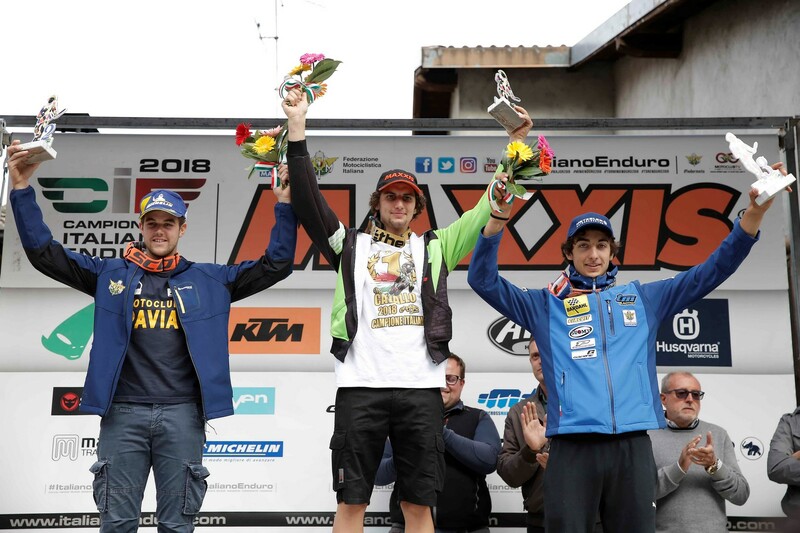 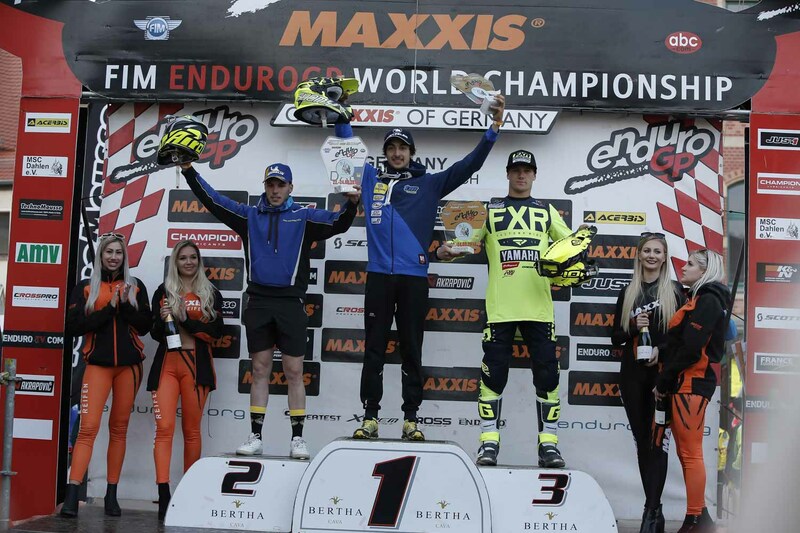 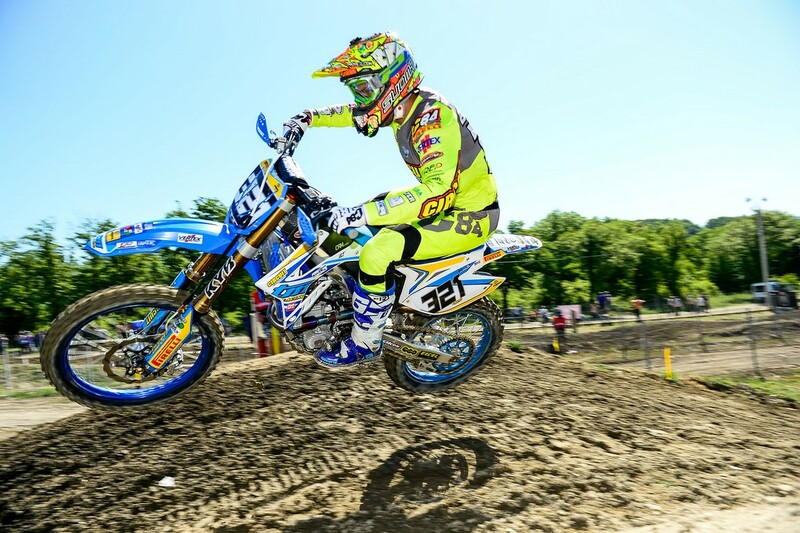 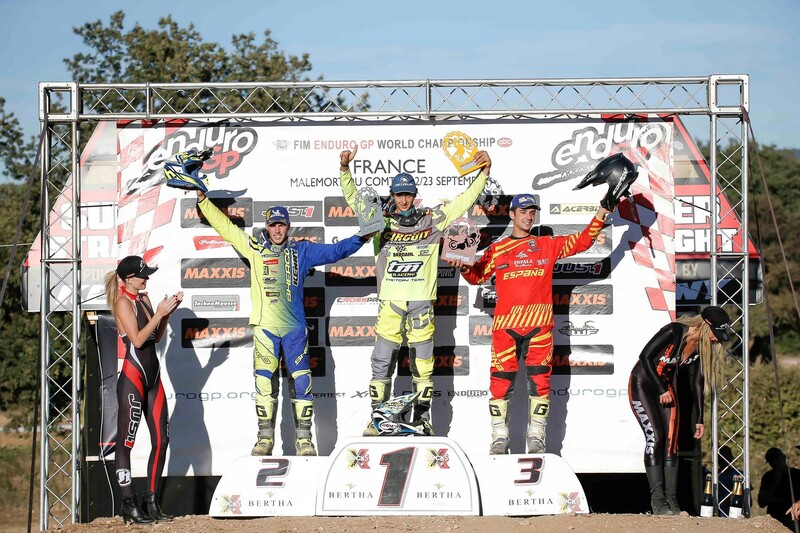 At the start of the Mx2 qualifying race, Samuele Bernardini at the first corner was the victim of a group crash, restarted in the last position and recovered until the 18th position. 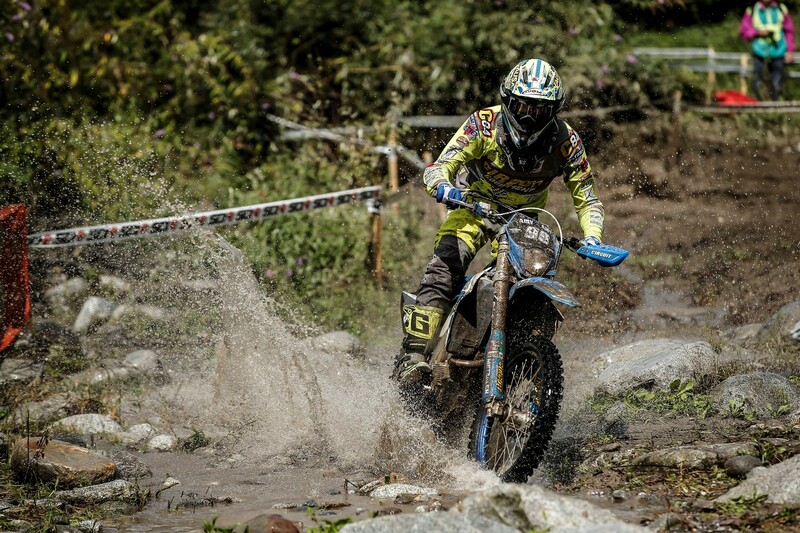 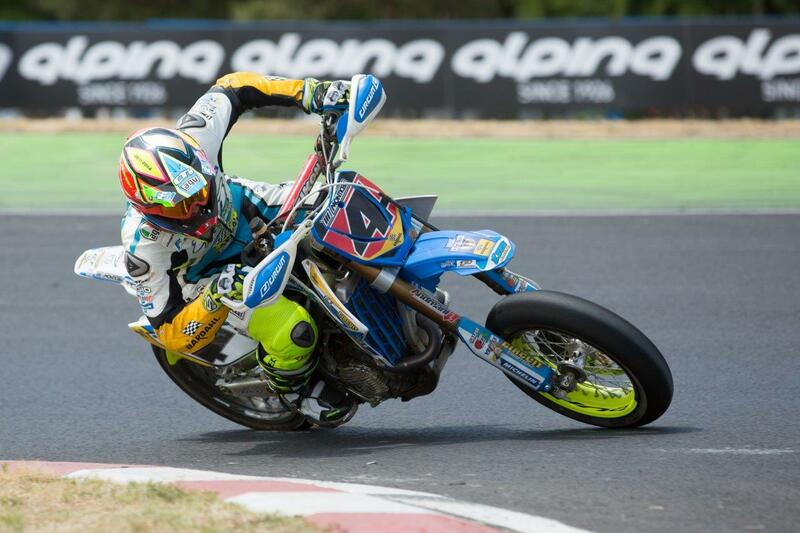 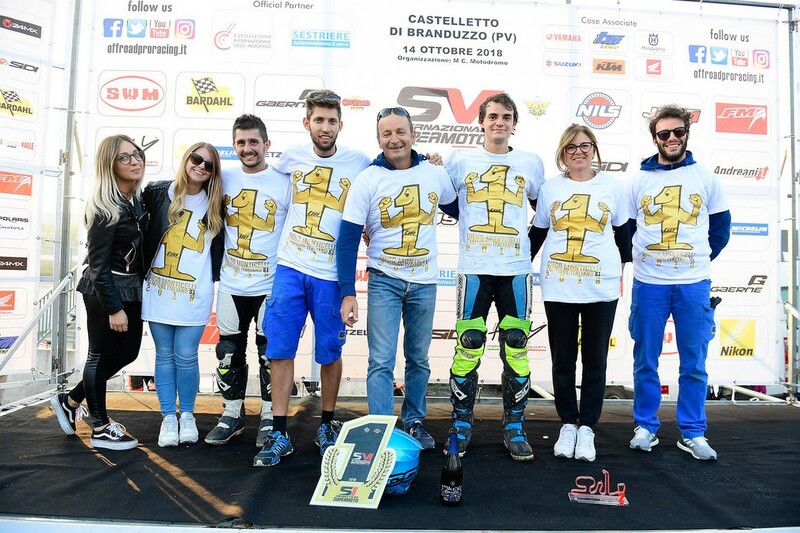 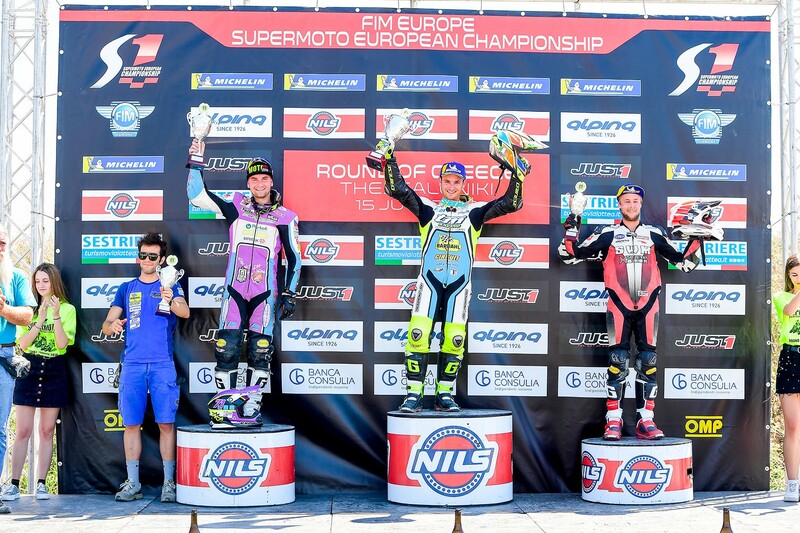 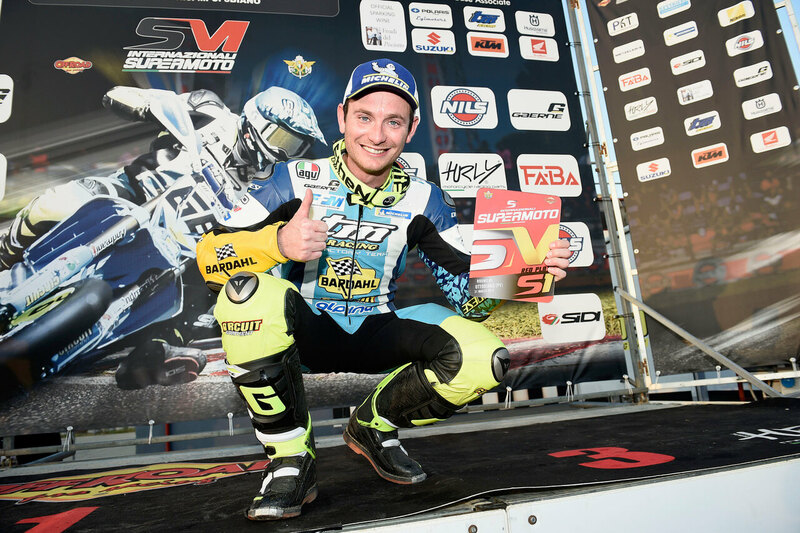 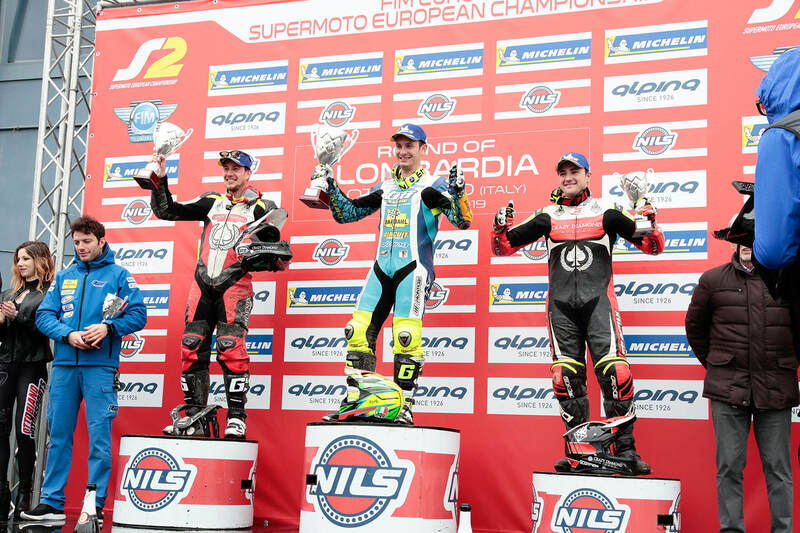 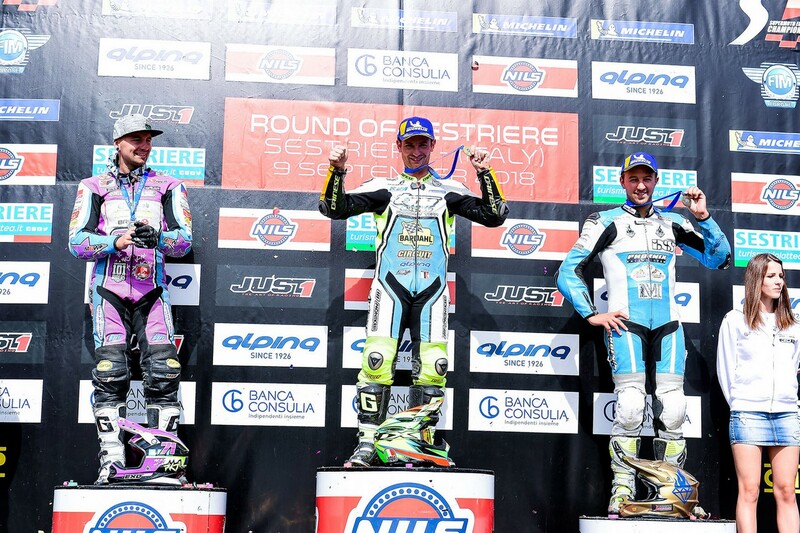 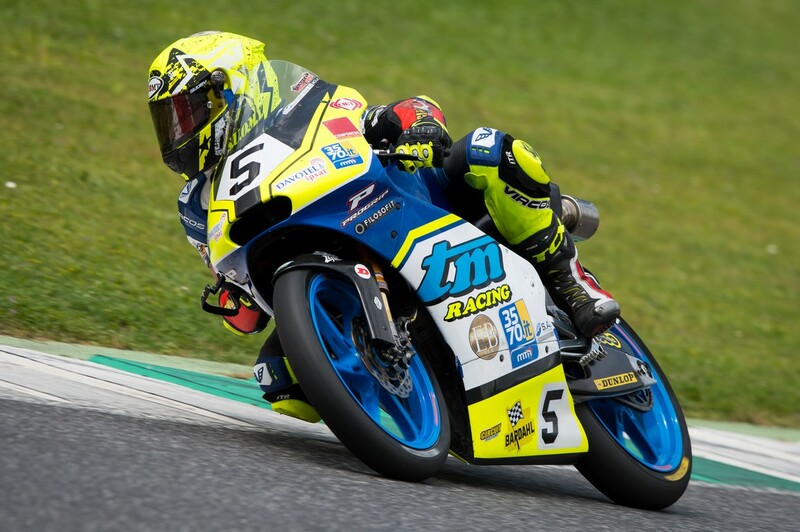 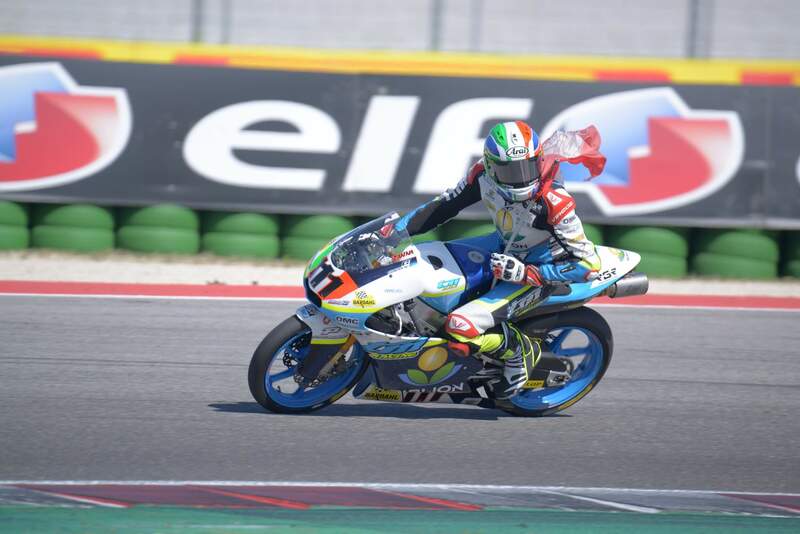 In race 1 Samuele staged a perfect start and on the first lap he was in fifth position. 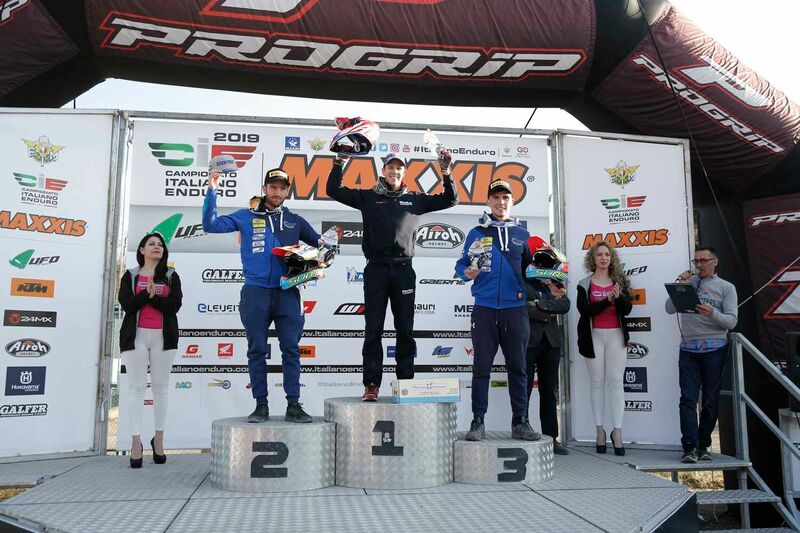 The strong Tuscan driver has held a very high pace throughout the race, unfortunately in the last laps due to exhaustion he had to raise the pace closing with a great seventh place. 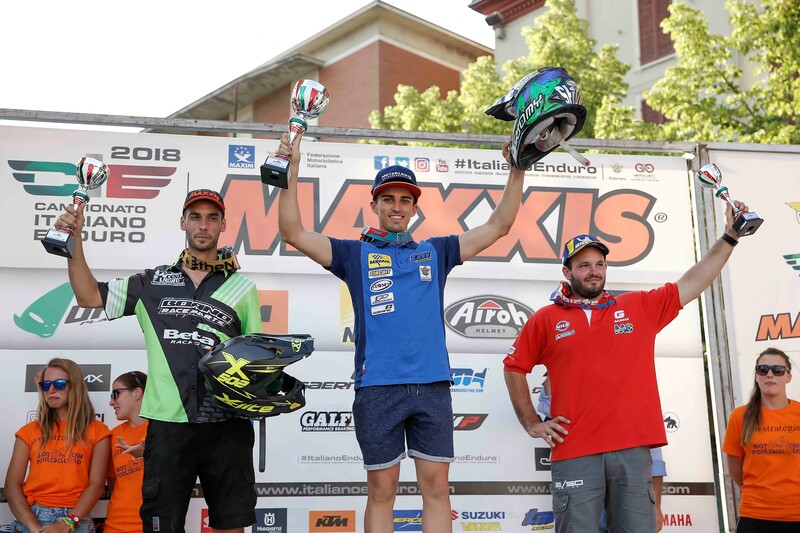 In the second heat Samuele suffered the great heat and the great effort of the first run and at the start he could not get a good idea, Bernardini tried to keep a pace that could be worth the top ten but had to settle for 14th position . 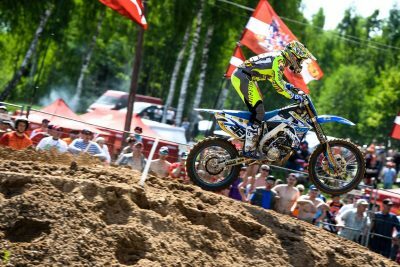 Max Nagl in race 1 at the start was not incisive losing some positions, Max in the early laps was not able to be aggressive trying not to make mistakes, several drivers have crashed in crashes that have compromised the whole race. 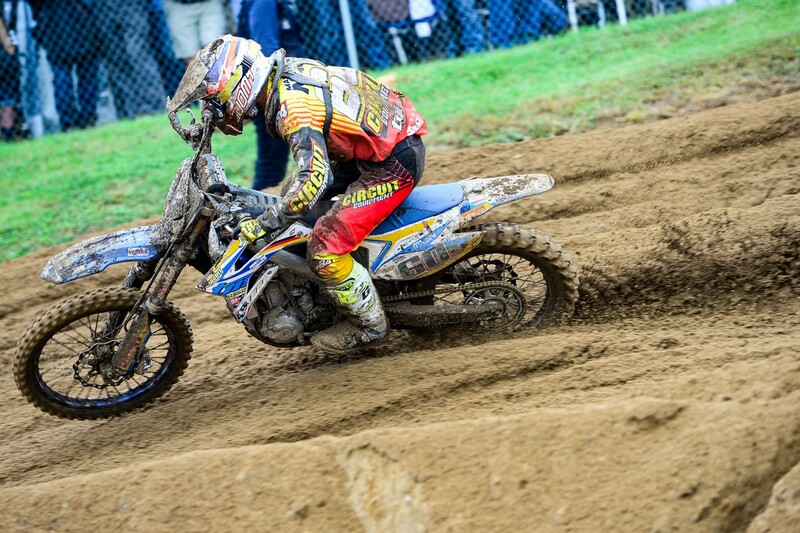 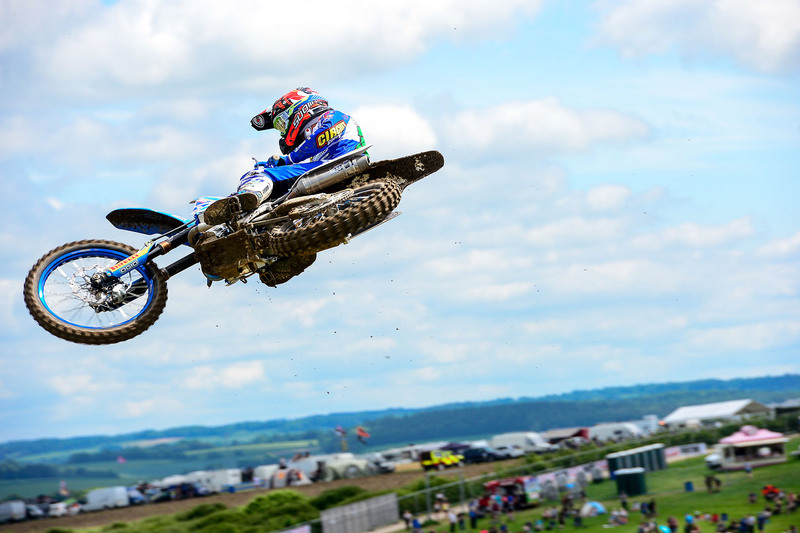 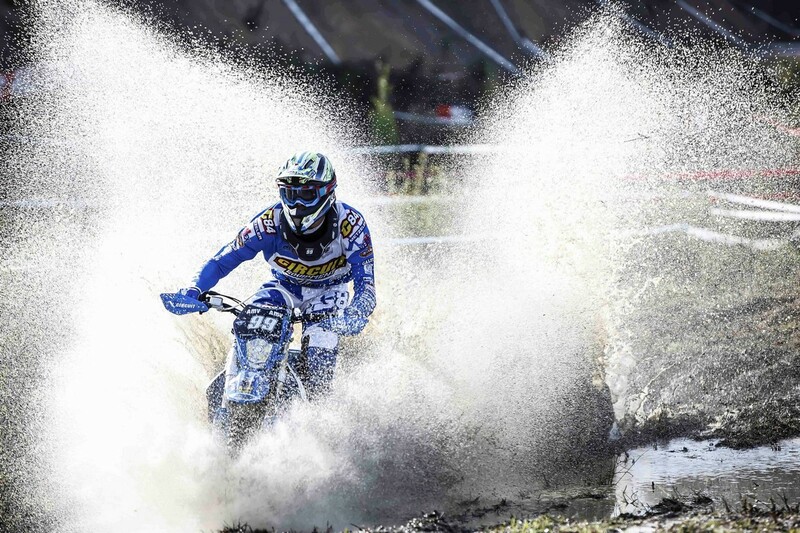 Nagl, however, kept a good pace that saw him finish 12th. 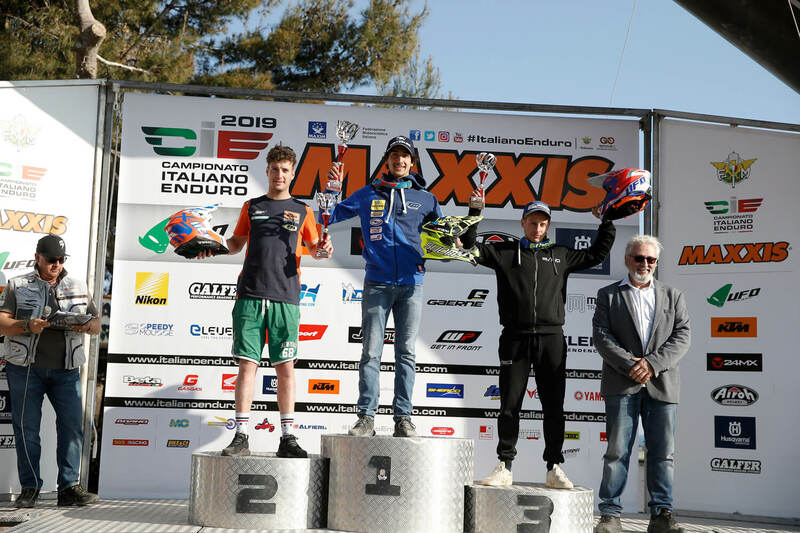 In race 2 Max was not able to suffer well and at the first corner he lost several positions, unfortunately the track had turned into a “hell of sand”, Max still did not pull back and managed to recover some positions by closing 13th . 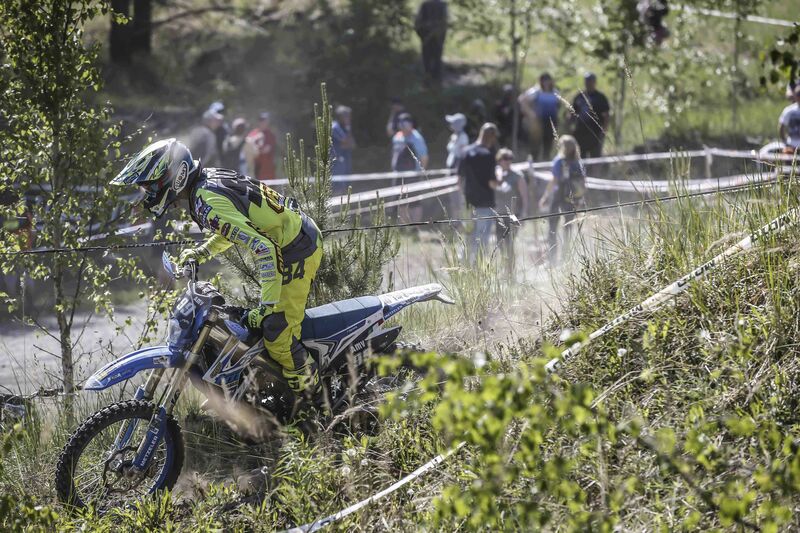 Only a few days off and then back on track for the German stage in Tschental.